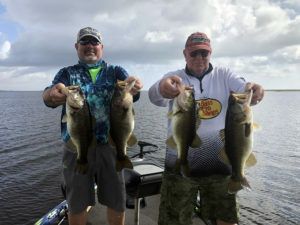 www.okeechobeejust4bass.com day 2 Fishing with Ron Harris from Indiana and Byron Barnard from Gainesville, FL. This was another 8-hour wild shiner bait charter. 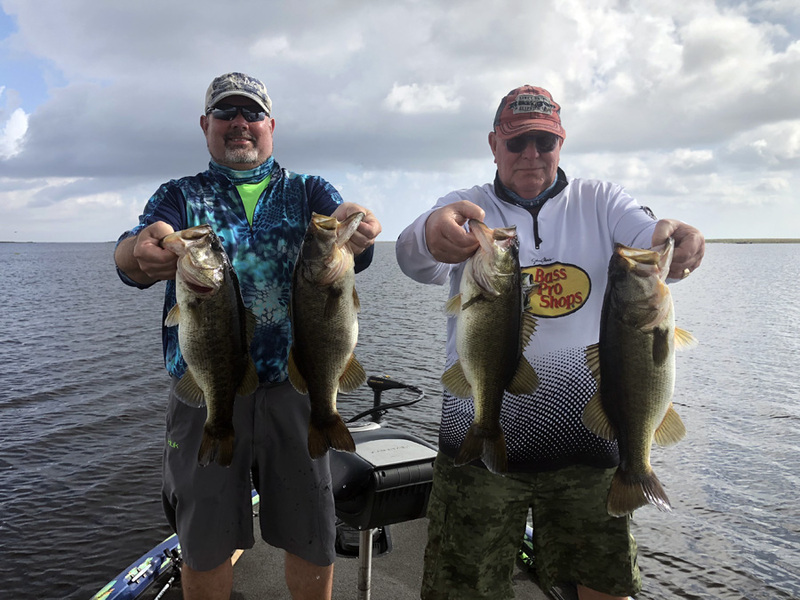 Here is a picture of a few of the bass they caught before the rain came in.